My daughter in law teaches environmental science on the high school level. 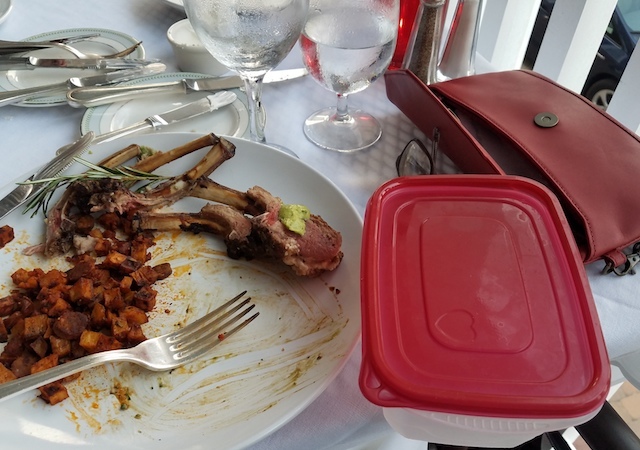 She shared a suggestion of bringing my own container for left overs when dining out. She knows we eat out often, and that I will take home even a small portion of my meal for lunch or dinner the next day. I’ve been known to keep a cooler in my car in anticipation of left overs!